I thought, “let’s make 2018 a productive one”, so I decided to interview several female travelers all across the world and asked them one question: what is the one thing you would you like to receive as a gift this year that would be useful to you while traveling? Dollars, Swiss bank accounts, plane tickets… Yes, some of those answers were pretty funny. One woman even asked for a guy to entertain her on long-haul flights. Well, jokes apart, there were no answers like watches or passport covers. I know that when it comes to gifts for girls, people often tend to opt for something beautiful and fancy. But there are also things that they want or need which is often related to what they are passionate about. 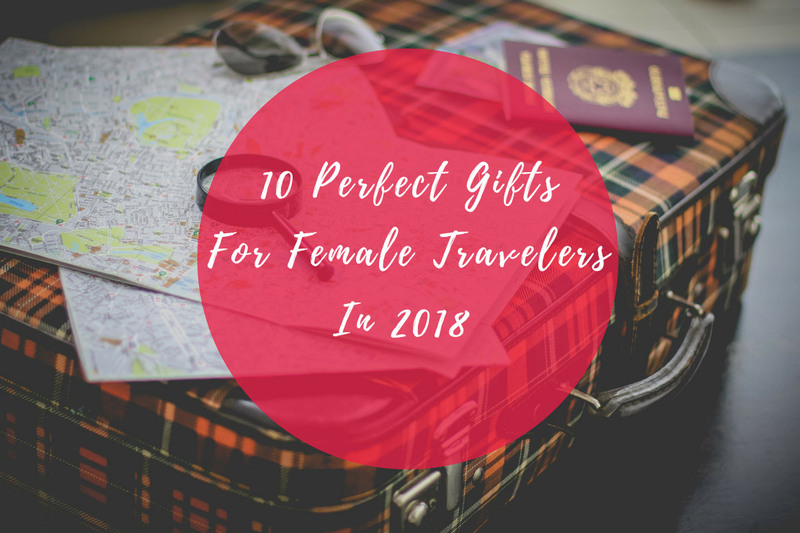 So if you have any passionate female travelers around you, pick your gifts wisely; this is what they want in 2018. Eliminating the most obvious answers, I’ve selected the items that the majority of the women I interviewed had chosen as preferred gifts. In addition to those, I’ve added some of my own gift ideas, which I think will make traveling in 2018 even more remarkable. 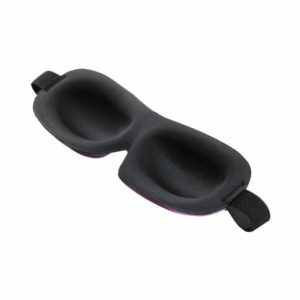 It’s not a regular sleep mask. It’s a mask which lets you blink while you sleep. Yes, it’s the perfect accessory to have a well-rested nap at any time of the day. It completely blocks out the light, which helps the body to create melatonin, resulting in that perfect beauty sleep every woman needs. It has velcro straps instead of elastic loops so that your ears are free of any weight. Tasteful colors, cushioned, lightweight and hand-washable. I told you, it’s the perfect sleep mask. One of the most useful and innovative products I came across. I’m sure you know at least one woman who keeps a spoon in their purse or backpack. Especially hikers and trekkers. Cutlery Carriage, as the name suggests, is a case for your cutlery. Smooth finish design, easy to carry, available in gorgeous colors, plus it comes already with a spoon and a fork. Just buy and put it in your backpack and you are ready to eat your soup or yogurt while on the go. The positive aspect, I found, about it is hygiene. It’s always better to eat your ice cream with your own spoon instead of that plastic one that comes with it. While traveling, this can be a great option to make yourself safe from germs. Also, you can put it back in the case to wash it later, which also protects your other belongings from getting dirty. Cool, isn’t it? Did you know that dirty clothes weigh more than clean clothes? Travellers know this through little experience. Leaving home, the bag is perfectly packed and weighed, but when catching the flight home or to your next destination, packing the bag with half of the clothes dirty already becomes a little challenge. The moment you’re at the check-in counter and are told that your bag is a little too heavy, that’s where it also becomes a headache. What’s the solution? This. 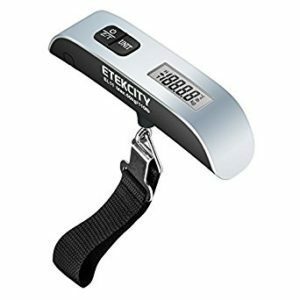 A hanging luggage scale by Etekcity. With an accuracy error of about only 0.1lbs/50g, it’s built for travelers with a simple to operate and portable design. That’s what we do with all our water bottles. No biggie. Then what’s the deal with LifeStraw Go? Here’s the catch. It comes with a filter and lets you refill from anywhere. No more searching for drinking water booths to refill your bottle. See a stream or river on the way? Fill up the bottle and the filtered water is safe and ready to drink. Does this need any explanation about why this is a useful gift for travelers? Nevertheless, I’d like to give you one reason: Your beloved female traveler can use it at her convenience when the rates are too high or to get home safely at night. Bonus, you can use them pretty much anywhere in the world, and the Uber gift cards never expire. Personally, I think this is one of the best gifts to give someone when you are unsure of what they might enjoy. Especially to travelers, when they are forever on a roll. Flytographer is a photographer service which is there to shoot your vacation. Now that is one wonderful idea to please your jolly good female traveler. As much as she loves to travel, she for sure loves to make them memorable. A Flytographer gift card can be redeemed at any destination she wants or decides to get herself photographed. It will let her choose the time and place. A great gift, which I would personally love to get. Forbes declared this as the number one gift for travelers, and I couldnt’ agree more. Now, this is a very common product. Until now, I thought that every traveler has this apparatus. But, to my surprise, almost 60% of female travelers to whom I talked to have this on their wishlist. This is definitely a very useful present to give. It should work worldwide and should be compact, lightweight and of sturdy material. 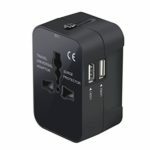 Most importantly, it must have at least one additional USB slot, so that two or three devices can be charged at the same time. If you ask me, this is what I’d love to get myself. What a bag! The Raden luggage collection offers stunning colors, a beautiful design and is available in both carry-on and check-in sizes. It has an integrated scale that weighs the luggage and a Bluetooth sensor which notifies you on your phone when the bag is in proximity. Another great feature is that it comes two USB ports, allowing up to four full phone charges. What else do you need? These bags are the ones any traveler would love to have in their possession. 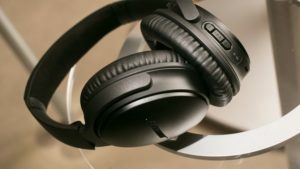 The latest by Bose, these headphones are going to rock 2018 as it comes with the Google Assistant built-in. Works best while on the move, be it flight, train or bus. It cancels all the outside noise and listens only to you. Read text or play your favorite song without even touching your phone. Lush has got this ultimate life-saver solution for your gorgeous hair. 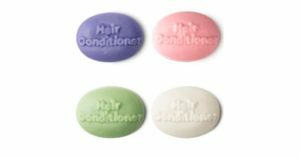 Containing essential oils, the shampoo and conditioner bars make the hair look luscious and beautiful. Carrying a soap bar is significantly more comfortable than carrying bottles, mainly due to safety regulations at airports around the world today. Further more, one Lush shampoo bar can last up to 2-3 bottles and washes hair up to about 80 times. Perfect travel material. Aren’t these gifts amazing? Don’t you think they will completely swoon the recipients? I wish we can all make this year an effective one by giving each other creative and useful gifts. Happy travels and happy gifting to all my fellow lovely women travelers. I’m the author of the blog Traveller by Birth; you can find me on Twitter, Instagram and Pinterest; or chat with me on the Jozu For Women community. Founder of an inspiring photo travel blog called Traveller By Birth. I am a traveller, photographer, Instagram influencer, writer and a content creator. Dentist by profession and traveller by passion.